The United Arab Emirates (UAE) Civil Aviation Authority Monday accused Qatar of intercepting with fighter jets two of its commercial flights in two incidents that it described as violation of the internal law conventions including threats to safety of civil aviation. The Qatari foreign ministry rejected the Emirati claims terming them as ‘completely false’. The General Civil Aviation Authority (GCAA) said two flights bound for Bahrain, were normal flights and had permits approved by the International Civil Aviation Organization, ICAO. According to the GCAA Director General, Saif Al Suwaidi, the Qatari fighter jets intercepted the two planes that were servicing regular flights approved by the International Civil Aviation Organization, ICAO. Passengers and crew members of the two flights saw the fighter interception, Al Suwaidi said, claiming this “posed a present and clear threat to the lives of innocent civilians”. The two planes had 277 passengers on board altogether. The GCAA said it was reviewing legal actions to take through the ICAO against Qatar. US Central Command based at the al-Udeid in Qatar told the Associated Press it was no aware of any incident involving commercial flights and military jets. 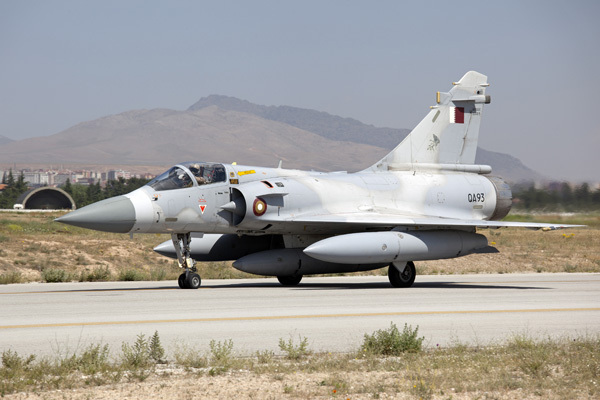 The latest showdown between the two countries followed Qatar’s complaints to the UN over intrusion of UAE fighter jets into its airspace two times in a matter of weeks, with the first taking place on December 21. It also comes few days after Qatari royal, Sheikh Abdullah bin Ali al-Thani, claimed in a video aired on Doha-based al Jazeera he was being detained in Abu Dhabi and that if anything happens to him, Emirati authorities should be held responsible. Abu Dhabi rejected the video adding that Sheikh Abdullah, who is said to be close to the UAE and regional power Saudi Arabia, came to the UAE at his own request and is free to leave whenever he wishes. Saudi Arabia, the UAE, Bahrain and Egypt have busted ties with Qatar since June accusing it of funding terrorism and developing ties with Iran. Qatar has denied the charges saying it was victim of a smear campaign. Written by: Jaber Ali on January 16, 2018. Posted by Jaber Ali on Jan 16 2018. Filed under Gulf News, Headlines. You can follow any responses to this entry through the RSS 2.0. Both comments and pings are currently closed.